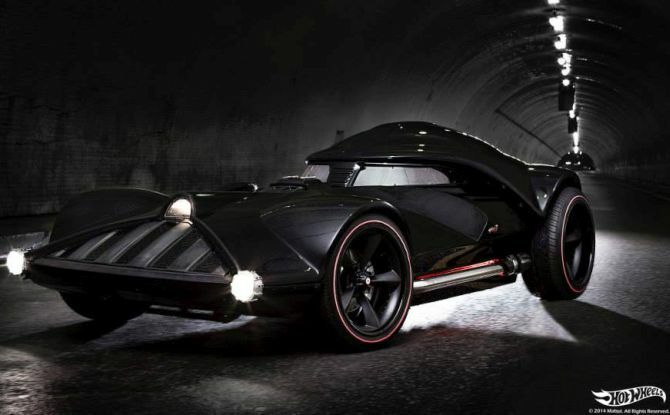 Unveiled by Hot Wheels at Comic Con 2014, the life-sized and fully-functional Darth Vader car is based on a C6 Chevrolet Corvette chassis. The one-off car described as vehicular expressions of popular characters is powered by a 526-horsepower V-8 engine and is build in just two months. 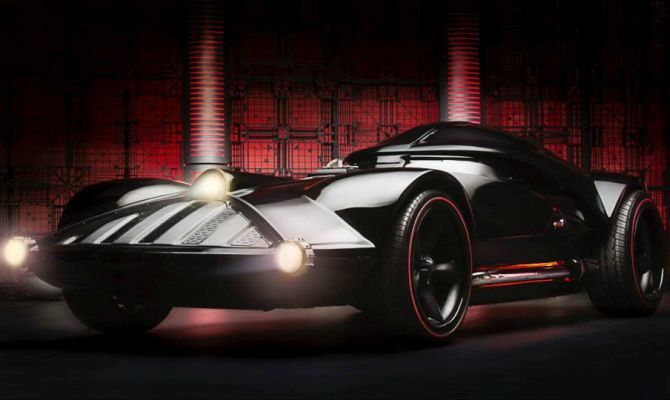 It comes with a six-speed manual transmission and packs props from the early Star Wars movies, including one of the original lightsabers. 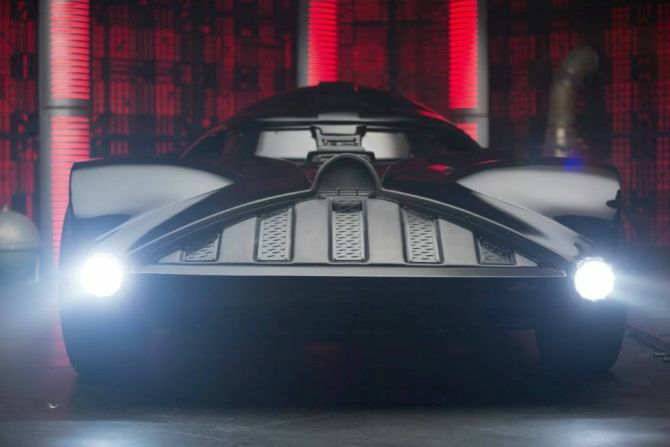 The canopy of the car comes off in the exact same way as Vader’s helmet. There is a separate handbrake that locks up just the rear wheels and the steering wheel is more off a yoke. 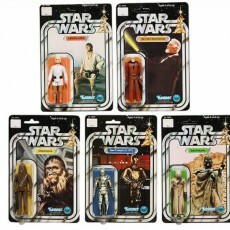 Well, the coolest feature is its breathing noises just like Darth Vader.